Winner of Gotham’s Best Actor prize. I am not young enough, cool enough or something enough, to have heard of The Room, the 2003 best worst film ever made by some moneyed eccentric movie wannabe named Tommy Wiseau. But I’m betting some of you are much younger and much hipper than me. That’s where James Franco’s tribute film, The Disaster Artist comes in. 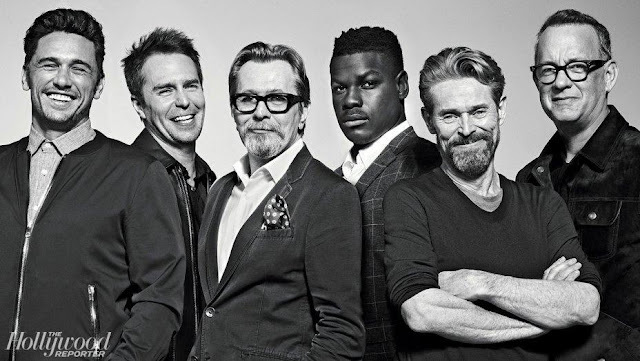 The movie made a Midnight Madness debut at TIFF this week and word is, the movie is a hoot. 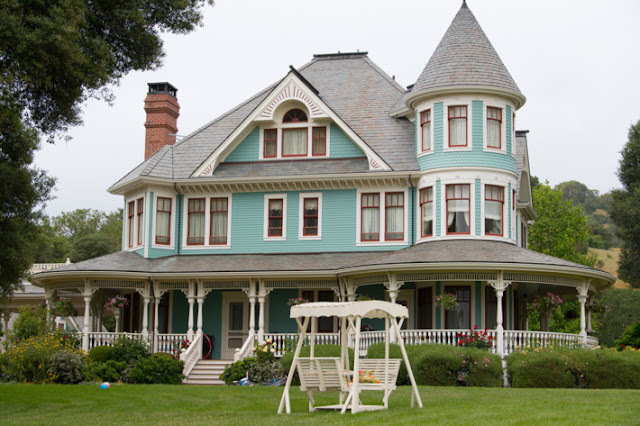 The original film, The Room which cost $6 million to make and netted $1800 has over time developed a cult following. 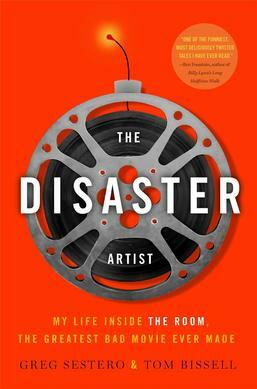 ‘From the actor who lived through it all and an award-winning narrative nonfiction writer: the inspiring and laugh-out-loud funny story of a mysteriously wealthy social misfit who got past every road block in the Hollywood system to achieve success on his own terms—the making of The Room, “the Citizen Kane of bad movies” (Entertainment Weekly). The hilarious and inspiring story of how a mysterious misfit got past every roadblock in the Hollywood system to achieve success on his own terms: a $6 million cinematic catastrophe called The Room. 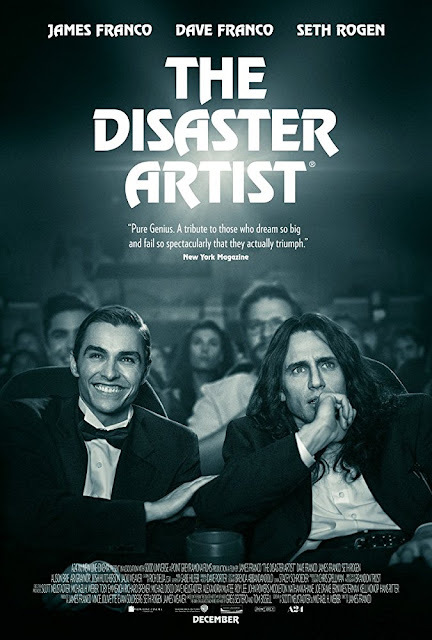 The Disaster Artist is Greg Sestero’s laugh-out-loud funny account of how Tommy Wiseau defied every law of artistry, business, and friendship to make “the Citizen Kane of bad movies” (Entertainment Weekly), which is now an international phenomenon, with Wiseau himself beloved as an oddball celebrity. Written with award-winning journalist Tom Bissell, The Disaster Artist is an inspiring tour de force that reads like a page-turning novel, an open-hearted portrait of an enigmatic man who will improbably capture your heart. What strikes me as I watch the trailers (below) is both how funny it is, and how equally touching! And that’s without seeing the original film The Room. 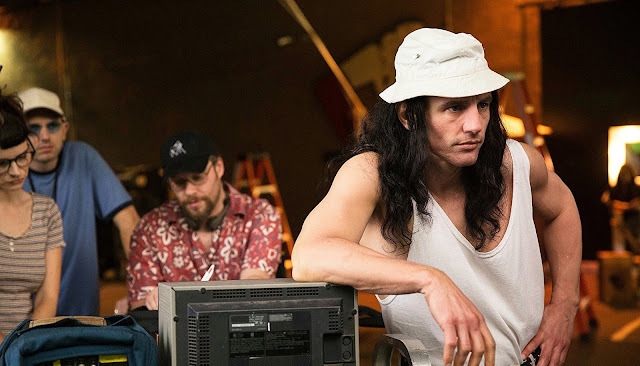 James Franco directs and plays Wiseau while his younger brother Dave Franco plays Greg, and we can see old friend Seth Rogan is on board. Maybe that’s part of it, the group of loving and supportive collaborators working together. No matter how funny the result, there’s something beautiful about that. 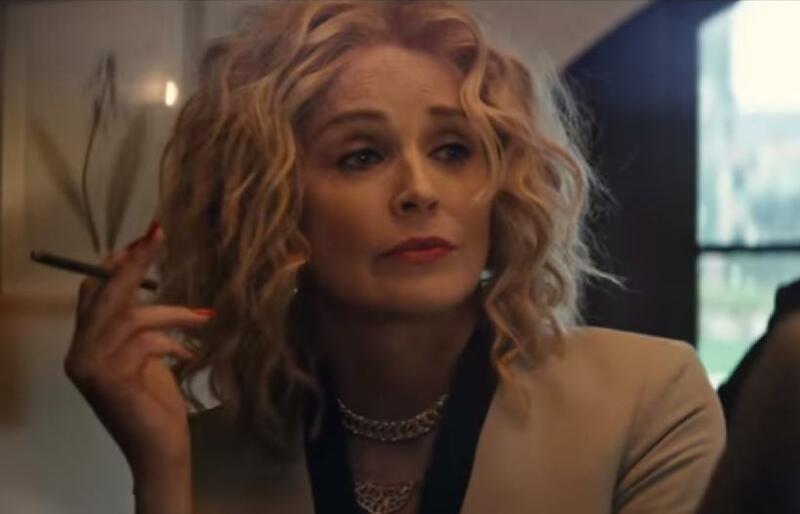 The cast includes Alison Brie, Zoey Deutch, Zac Efron, Kate Upton, Kristin Bell, Josh Hutcherson, Megan Mulaly, Sharon Stone, Zach Braff, Judd Apatow, Melanie Griffith, JJ Abrams, Bryan Cranston, Adam Scott and others. Lots of cameos I presume? And oh, by the way, my favorite screenwriting duo, Scott Neustadter and Michael H. Weber scripted the adaptation. They’re the amazing talents behind (500) Days of Summer, The Spectacular Now, The Fault in Our Stars, Our Souls at Night and Where’d You Go, Bernadette coming next May. Let’s take a gander at the trailer. The Disaster Artist opens December 8.